Build Over Your Existing Patio, Porch, Or Deck! Looks Like a Pergola... Acts like a Patio Cover - Opens to let the sunshine in, closes water-tight to keep weather at bay! The "smart" Patio Cover comes to Denver. Manufactured by Solara Adjustable Patio Covers, lets you enjoy the best of all worlds and all the Colorado seasons. 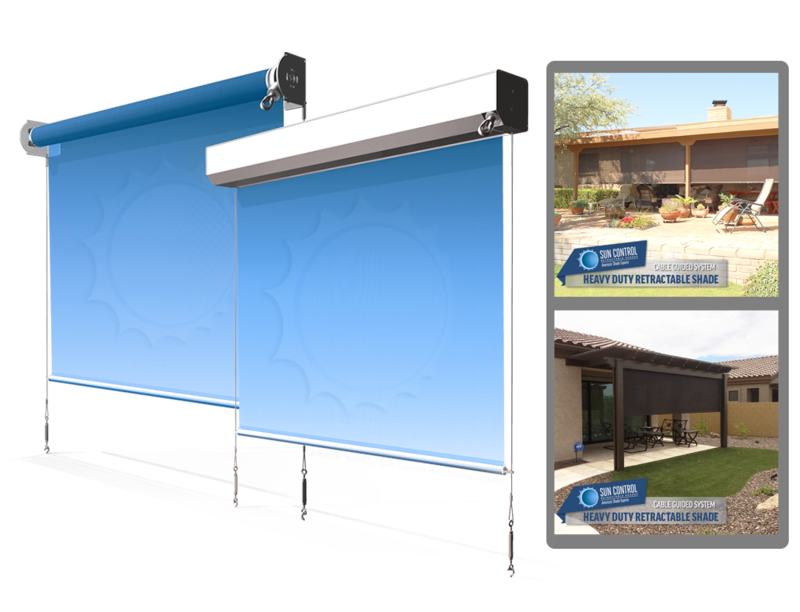 This patio cover is dynamic and can be altered according to weather conditions and your demands. This means that you are in charge of the amount of light and shade you wish to receive, including protection from rain and humidity, while not giving up a refreshing summer breeze. Solara's patio cover is made of aluminum, including the louvers; therefore it requires virtually no maintenance!!! Solara's "smart" patio cover enables you to significantly increase your living space and quality of life during the warm summer days as well as during the colder, wet winter seasons. In between a patio cover and a sunroom - Take your patio back from mother nature! 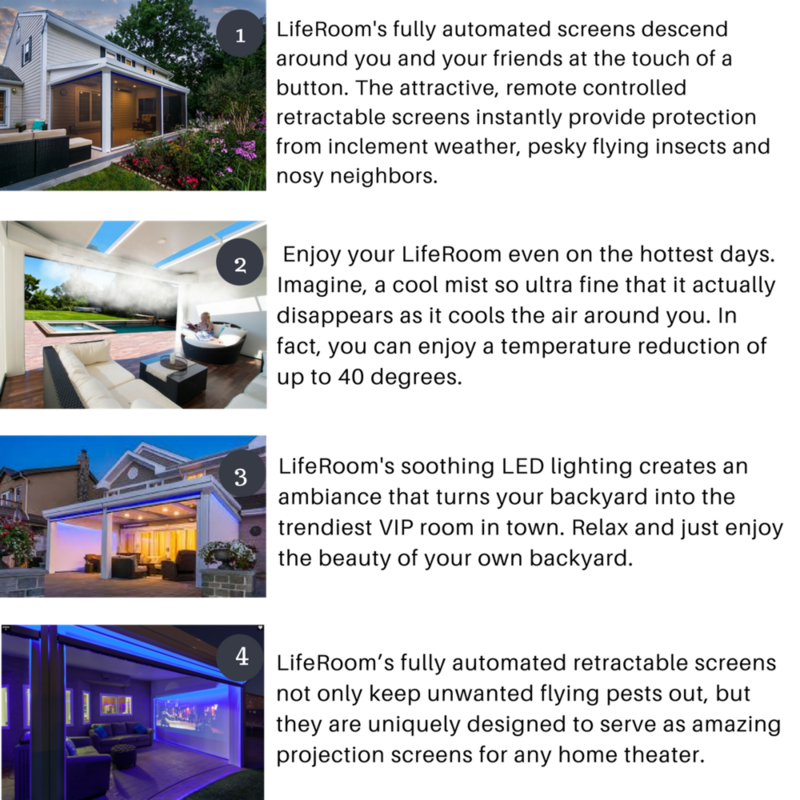 Check out the new LifeRoom with built in drop down screens, Cool Mist system, Cool Breeze system, Ambient lighting, recessed lighting & modern design features. Project a TV on to the white screens and enjoy your New & improved Patio! WE ALSO OFFER A VARIETY OF EXTERIOR RETRACTABLE SUN CONTROL SHADES SYSTEMS! Expanse is the industry’s first porch window with retractable screens. Available in extra-large standard and custom sizes, this patented, dual-sash window design offers expansive views and convenient ventilation – all while offering protection from bugs and the harsh Denver elements.